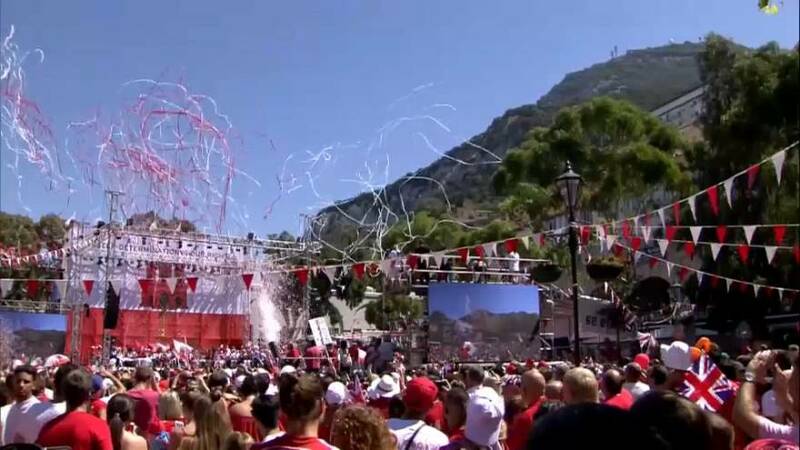 In a sea of red and white – thousands of Gibraltarians marked the territory’s national day on Sunday. “In the next 50 years, Gibraltar will grow stronger, will go further, will prosper greatly, because my fellow Gibraltarians, nothing is going to stop us now. Red, white and proud, red, white and free, red, white and blue. Thank you Gibraltar,” said Chief Minister of Gibraltar, Fabian Picardo. Gibraltar is a tiny, rocky territory at the tip of the Iberian peninsula that Britain has controlled for three centuries against Spain’s wishes. On a turnout of 95.8%, 12,138 people voted to remain British and only 44 voted for Gibraltar to become a part of Spain – according to Deputy Chief Minister Dr Joseph Garcia. This year’s national day was a massive show of force proving support for Britain in Gibraltar remains as strong as ever.